Principal of Luit Konwar Rudra Baruah State College of Music Assam under Directorate of Cultural Affairs Department. Monthly Salary- Rs. 30,000/- to Rs. 1,10,000/- PM plus Grade Pay of Rs.14,500/- PM Plus other allowances as per rules of the Govt. of Assam. (a) Master Degree in music from any recognized University. Administrative Experience : Must have administrative experience at least for 5 (Five) years in an Executive Post in similar other organization and capability of running the college independently or teaching for at least 20 (Twenty) years. Application form may be obtained by downloading the same from the APSC’s website www.apsc.nic.in . 1. Applicants must affix 1 (One) copy of recent photograph on the space provided in the application form firmly with good quality glue/adhesive and also should enclose another copy along with the application. The photograph must be signed prominently. The Commission shall not be responsible for detachment/ loss of the photograph. 2. Since the practice of furnishing attested copies of certificates/mark sheets etc. by competent authority has been discontinued by the Govt., the applicant shall furnish copies of certificate/mark sheet etc. declared by himself/herself as certified to be true copy of the original along with the application. 3. In case of detection of any false declaration / statement made by any applicant, his/her application will be rejected and will also be penalized as per Rules/Law. Self attested photocopies of Certificate / Mark Sheet from HSLC onwards and also Caste Certificate / Registration Certificate / Experience Certificate (where necessary) should be furnished invariably and should be tagged properly without any chance of getting lost during transit. The Commission will not be responsible for any such loss due to improper tagging. i. Commission may short-list the number of candidates either on the basis of their marks obtained in the qualifying academic examination required for the post in terms of advertisement. By holding Screening test (Multiple choice objective type written examination) which will be notified in due course. 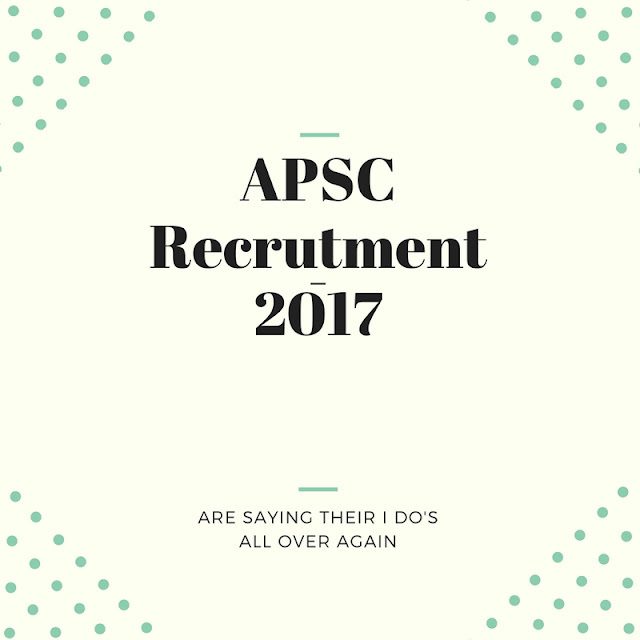 I have shared all the important knowledge for the upcoming APSC Recruitment here. In this website you will always get the cleare picture of any Latest Job in Assam. For more about AssamCareer jobs click here. You can crack APSC easily if you know the strategy of APSC Exam Preparation. Apply before the last date. Monthly pay for the APSC job is also good. Fore more about this APSC vacancy like our JobinAssam facebook page and twitter page of JOBINASSAM.